The UK may have granted Mauritius independence in 1968, but it remains closely tied to the Indian Ocean island nation – and it’s been locked in an on-off territorial dispute with it for decades. Decolonisation, it seems, is not so simple. The Chagos Archipelago forms the British Indian Ocean Territory, one of the 14 British Overseas Territories. Although the archipelago was discovered by Portuguese explorers in the 16th century, France gained ownership of it after the Dutch abandoned it in the late 18th century. The UK only took possession of the islands as part of the Treaty of Paris after it captured Mauritius in 1810. Decolonisation was given a major boost when the UN was instituted in the aftermath of World War II. Once self-determination was established as one of the pillars of the UN Charter (Articles 1(2) and 55), decolonisation movements started popping up everywhere. On top of that, the UN General Assembly in 1960 adopted the Declaration on the Granting of Independence to Colonial Countries and Peoples, which sets forth the basic principles for the emancipation of peoples under colonial rule. Against this backdrop, in the early 1960s, the UK and the people of Mauritius began negotiations with a view to a full British withdrawal. Mauritius eventually became an independent state in 1968. But there was a catch. The Chagos islands were “detached” from the colony of Mauritius by the UK in 1965, and the largest island was then (1966) leased for 50 years to the US to serve as a military base, the highly controversial Diego Garcia. The upshot was that between 1967 and 1973, around 2000 Chagossians were gradually expelled from the archipelago for military reasons – something that’s been the subject of long-running legal battles ever since. Mauritius started the current wave of legal proceedings against the UK when it declared a Marine Protected Area (MPA) of 200 nautical miles around the archipelago in 2010. In a nutshell, Mauritius disputes the UK’s right to assert maritime rights in the sea waters surrounding the archipelago. 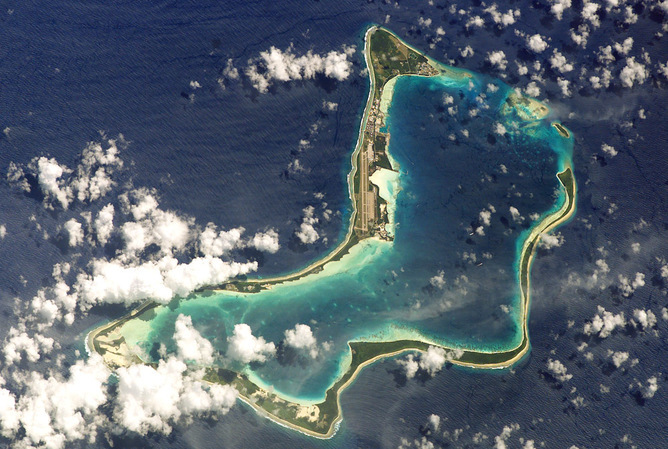 In its submission to the Arbitral Tribunal that adjudicated the dispute, Mauritius contends that it, not the UK, has rights over the Chagos islands as a coastal state. Mauritius argued that Britain does not have sovereignty over the islands, and that it therefore cannot be deemed a coastal state – meaning the MPA it set up is not legally valid, and, additionally, was incompatible with the UK’s duties under the United Nations Convention on the Law of the Sea (UNCLOS) towards Mauritius. Mauritius’ challenge did not come off as planned. The Arbitral Tribunal decided that it did not have jurisdiction to adjudicate Mauritius’ sovereignty-related allegations, since the settlement apparatus set up by UNCLOS doesn’t actually provide for the resolution of such disputes. Nonetheless, the tribunal decided it could determine whether the declaration of the MPA was permissible under the convention – and it held that the UK had acted in contravention of its obligations. It urged the UK to enter into negotiations with Mauritius concerning any measures taken in the future regarding environmental issues. Even though the tribunal did not rule on the fundamental issue of sovereignty, this case has nonetheless reignited intricate and painful arguments over decolonisation all over again. By agreeing that the MPA Britain set up is incompatible with UNCLOS, the Tribunal actually implicitly accepted that the UK enjoys sovereignty over the archipelago, since the provisions of the Convention it cites refer to the duties of a coastal state towards other states. But that just shows how the Chagos dispute goes to the heart of the problem of post-colonial sovereignty. There are a great many former colonies or parts of them that do not yet have full or technical independence, and their status needs serious attention. That’s especially true of maritime rights. The starting point for determining whether an entity possesses jurisdiction over the waters around it is to determine whether it is entitled to terrestrial sovereignty in the first place – the well-established principle that “the land dominates the sea” . Meanwhile, at the tribunal, the UK caught some serious flack for the way the decolonisation process played out. In their partial dissenting opinion, two of the Tribunal’s judges argued that detaching part of a colony, as the UK did in 1965, is itself at odds with international law. That’s a nod to an extremely awkward reality: the fact that several states besides the UK (such as France) still maintain colonies or keep possession of parts of their former colonies today does not appear to obey the UN’s core resolutions on decolonisation. This problem was forecast while the era of decolonisation was at its height. Back in 1968, the International Law Commission’s Special Rapporteur argued that imperfect transfers of land could cause trouble down the line, with former colonisers prevented from enjoying full-fledged sovereignty in the retained territory but retaining it nonetheless. Meanwhile, to make things even more complicated, the Friendly Relations Declaration (1970) stipulates that a colony is a distinct territory from its administering state. As regards the Chagos case, and the rest British Overseas Territories, while the name used for these particular territories has changed – from “Colony” to “Dependent Territory” and then to “British Overseas Territory” – no real substantive change in the law has taken place. This case proves just how live the issues raised by decolonisation still are. Clearly, there’s still a deep need for proper negotiations between old colonial powers and the states who now have rights over certain territories which their onetime colonisers still cling to. On the face of it, this case has done little to shake up the status quo, and colonial states’ freedom to claim maritime rights in the waters around their overseas territories has yet to be seriously challenged. But clearly the situation is untenable. Given the binding force of UN resolutions and the fundamental right of self-determination, continued colonial occupation and attempts to retain segments of an ex-colony should be considered incompatible with international law – and it’s only a matter of time before a case is brought that blows the question wide open again. *Posted on “The Conversation” on 29 May 2015.